← Like and Follow HPTA! (l-r) Rusty Jabour, Sue Finch, Gary Mollere, Sandra Harshbarger, HPTA President Debbie Klotzbach, HPTA Secretary Mrinal Desai, HPTA Treasurer Wendy Parrish, HPTA Vice President Galen Vicknair, Tournament Desk Coordinator Joycelyn LeBlanc, Tournament Director Lisa Sanner, and Michael Doyle. 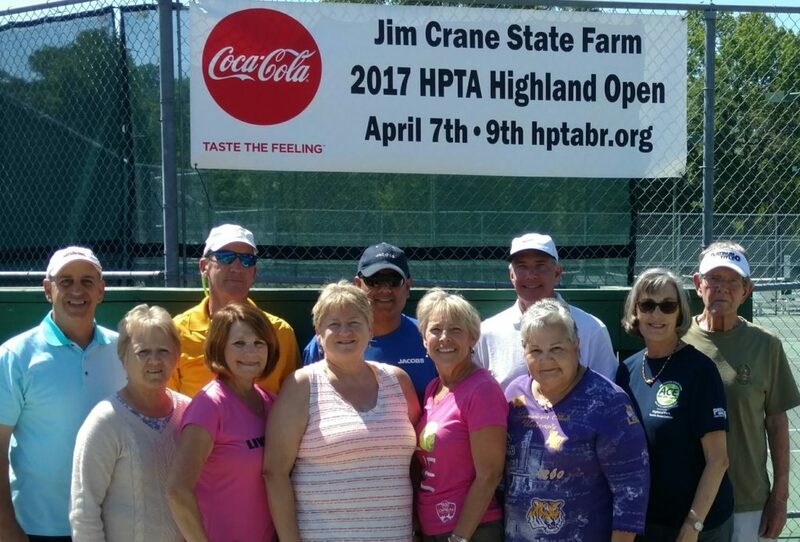 The Highland Park Tennis Association and its Highland Open Tournament Team are proud to announce that $20,976 was raised for the Cystic Fibrosis Foundation through the 2017 Jim Crane State Farm Highland Open and its related fundraising efforts. 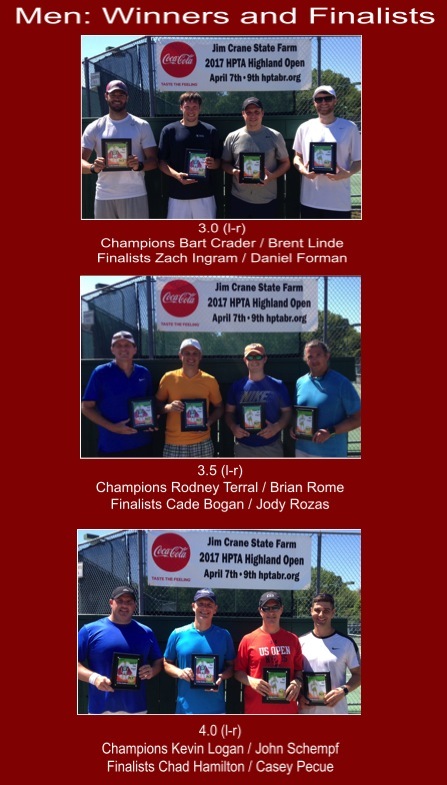 The tournament hosted 168 players (84 men’s and women’s doubles teams) and was held April 7-9 at BREC’s Highland Park Tennis Center in Baton Rouge. The funds were raised from a variety of sources, including corporate and business donations, tournament entry fees, a silent auction, the “65 Roses” campaign, and the weekly HPTA Round Robin “tip jar.” Thanks to all of the individuals, businesses and organizations that helped us achieve our goal! 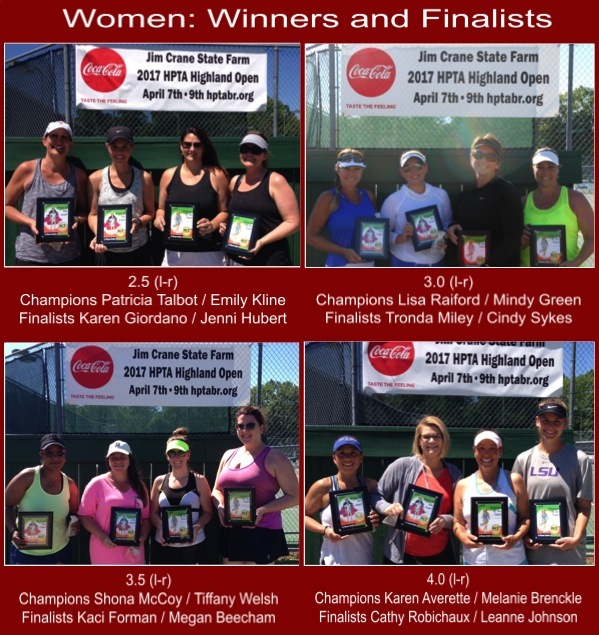 Also, since 2010, HPTA has conducted its “65 Roses” campaign before and during the Highland Open tournament to raise funds for the Cystic Fibrosis Foundation. We are very proud to announce that HPTA met its goal in 2017 with 65 Roses sponsored. Here are the Rose tallies since 2010. Visit our tournament page for results, pics, and more!